I've heard of pet raccoons, foxes, and many other forest critters but a penguin?! I had no idea that they could survive outside of Antarctica but apparently this penguin can. His name is Lala, and he lives with his owners in Japan. He's super cute and enjoys walking the streets of Japan with his little penguin backpack. In fact, he's a little derlivery boy. Lala waddles over to the local fish market daily to eat and bring back fish for the family. It's something you have to see for yourself. This penguin traveled all the way to Japan! 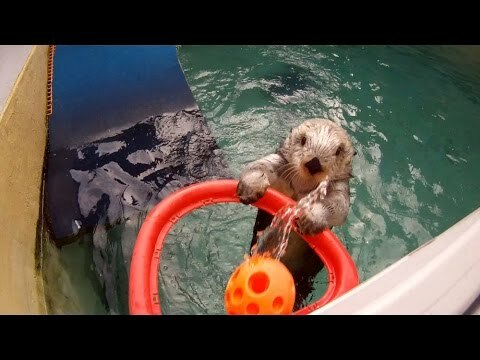 Did you know that otters can play basketball?